on June 21, 2016 by James T. Hunt, Jr.
Zillow and its attorneys appear to have taken a page from Jim Carrey’s character in Liar Liar. Seemingly over a barrel, as they say, given the facts disclosed during discovery, Zillow apparently believed it needed to fork over serious money to avoid an even larger damages award if it went to trial. Even in the corporate world, $130 million is no chump change. 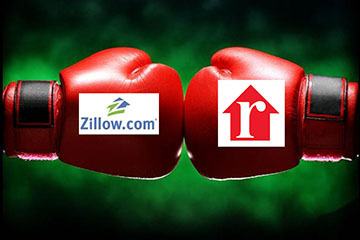 Look at it this way: Zillow reported real estate revenue of $136.6 million for the fourth quarter of 2015, and gross annual revenue of $679.9 million for 2015. Can you imagine taking one quarter’s worth of your gross revenue – 25% of your entire annual revenue – and handing it over to your most hated competitor ? It’s a sure indication that Zillow and its attorneys were likely just as desperate as Jim Carrey’s character to try and settle the case. The attorneys at Tenaglia & Hunt, P.A., provide business clients with experienced legal representation. We handle many types of business disputes on behalf of corporate clients, including Fortune 500 Corporations and SMBs throughout New York, New Jersey, and nationally. We take an aggressive but professional approach and always seek creative ways to help our clients. To schedule a free consultation and learn how we can help your business, call us at (201) 820-6001 or (212) 692-0200.